Suggest ways in which the limitations of these Agile development methods can be overcome. What is the current Software Project Management & development environment??? This statement by James Bach in “American Programmer” effectively sums up the current Software Management method. There is a constant need for delivering “more” in a given amount of time. The other attributes of the current development environment can be described by the following attributes. Can we create a Model to take care of these attributes??? Attempts to model this development process have encountered the following problems. Quality control is not defined. Testing processes are an example. And, the current Management & development processes handle all these problems ….. Do they??? Currently, most software management & development is considered a “chaotic” activity, better known as “code and fix”. This means software is written without much of an underlying plan, and the design of the software system is cobbled together. However, there has always been an alternative to this chaotic development by using methodologies (Fowler, 2000). These methodologies are typically known as “heavy” or “monumental”. Examples of them include the waterfall, spiral, etc. They impose a strong emphasis on process especially upfront planning. Even though they have been around for quite some time, they are not noted for being very successful or popular (Fowler, 2000). The unpopularity of these “heavy” methodologies is a result of the massive effort required throughout the process which can actually slow down development. And, Now Ladies And Gentlemen, the Distinguished Agile Management & Development Method!! Agile Management & Development Method is one of a growing number of alternatives to traditional, process-centric software management methods with a focus on people, results, minimal methods and maximum collaboration. It is geared to the high speed and high change of today’s ebusiness projects. (Highsmith, 2000). Who is behind this “Agile” thing??? This manifesto is the cornerstone of all the different Agile Software Management & Development methods. What are the characteristics of an Agile Software Management & Development??? Today’s time-sensitive business climate requires that we quickly accommodate requirements changes during development and, after development, be equally adept a delivering the upgrades caused by software’s rapid software evolution and the customer’s ever-increasing requirements (Aoyama, 2000). Where do you use Agile Management & Development Methods??? Where do you not use Agile Management & Development Methods??? You are focusing on a single model at a time. Common examples are “use case Modeling sessions”, “class Modeling sessions”, or “data Modeling sessions.” The root cause of this problem is typically “one artifact developers” such as people specialized in data Modeling or user interface Modeling– with Agile Method generalists should be leading the effort. You are working towards a freeze of one or more of your models – In other words you are taking a serial approach. Er… Can you give me an analogy between Agile management methods and the normal heavy weight software development method …. OK, fine…what are the currently available Agile development processes, which are available for an user? Scrum is an agile, lightweight process to manage and control development work. The crystal family of lightweight SDLC methodologies was created by Alistair Cockburn. Crystal is a family of human-powered and adaptive, ultralight, "shrink-to-fit" software Management & development methodologies. "Human-powered" means that the focus is on achieving project success through enhancing the work of the people involved (other methodologies might be process-centric, or architecture-centric, or tool-centric, but Crystal is people-centric). "Ultralight" means that for whatever the project size and priorities, a Crystal-family methodology for the project will work to reduce the paperwork, overhead and bureaucracy to the least that is practical for the parameters of that project. "Shrink-to-fit" means that you start with something possibly small enough, and work to make it smaller and better fitting. The Dynamic Systems Development Method (DSDM) is a lightweight software methodology which has its origins in the U.K. In traditional approaches the focus has been on satisfying the contents of a requirements document and conforming to previous deliverables, even though the requirements are often inaccurate. 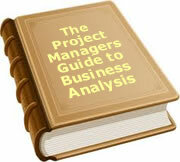 The previous deliverables may be flawed and the business needs may have changed since the start of the project. In addition, time and resources are often allowed to vary during development. In DSDM, the exact opposite is true, time is fixed for the life of a project, and resources are fixed as far as possible. This means that the requirements that will be satisfied are allowed to change (DSDM, 2001). DSDM has underlying principles that include active user interaction, frequent deliveries, empowered teams, testing throughout the cycle. Like other agile methods they use short time boxed cycles of between two and six weeks. There's an emphasis on high quality and adaptively towards changing requirements (Fowler, 2001). Are there any companies which are using Agile Management methods ??? Tracor, Inc (UTA, date not mentioned) . The data in the table speaks for the success of the company with Agile development methods. What are the advantages of Agile Management & development methods??? Higher quality by earlier feedback from the customers. What are the limitations of Agile development methods??? My two cents on Agile development methods!!! I immensely like the short development cycles prescribed in all of the Agile development methods. This is very practical and is true in many organizations. I have also observed in my professional experience in the software industry that having short development cycles of 15 days to one month, and going for a review of the entire project after that really is very pragmatic. Now for the darker side of Agile development methods. Agile development methods place too much premium on people. It expects highly motivated people. It also expects colleagues to interact in a very close manner, everyday, without disagreement, emotions or bias. This will just not happen. It is very tough to work very closely with a group or people and get along with them. People will have disagreements everyday, which will affect the way in which future interactions with clients and fellow developers will be affected. If the heavy emphasis on people is not sorted out, Agile may end up being a very bold experiment. Agile methods are light weight software methods. Agile development methods are very pragmatic in understanding the fact that requirements in a business environment changes constantly. Highly creative people who have understood the shortcomings of normal software management processes are using agile development methods in organizations. Many organizations all around the world are trying out the various available Agile development methods. Control Chaos. (2001). SCRUM software Development process. Nunes, N., Cunha, J. (2000). Wisdom: A software engineering method for small software development companies IEEE software, September/October 2000, 113- 119. To date, 62 people have rated this article. The average rating is 3.97 - Add your rating. Just select a rating and click the button. No other information required.